With a hundred pages of briefing and about an hour and half of argument, it would be very difficult for this court just to start in and go through a number of factors that would go into my decision on a Rule 20. Rule 20 rulings in my experience are often conclusory and that may not be, uh, satisfactory or satisfying to the parties but this ruling is going to be necessarily conclusory as well. The first point has to do with whether or not there's a legal duty. That's a question for the court. That's not a question of whether there's substantial evidence as an element. It's a question for the court. And I conclude that the, uh, defendant Mr. Ray owed a legal duty to the decedents. That question maybe first was, uh, addressed in the admissibility of evidence about amounts paid for the event. And I'm aware of the distinction between Mr. Ray personally and JRI. The defense has argued that throughout the case. So in making this conclusion and stating this conclusion, I am aware of the distinction between entities; between a person and the corporate or business structure. But there is an element of a contractual basis for the duty and that's what's been noted. There may be others. Ruling on the Rule 20: With regard to mens rea I conclude there is substantial evidence of the mental state of recklessness. With regard to causation I conclude there is substantial evidence going to both cause and fact or but for causation as well as proximate cause. I'll note, uh, Dr. Dickson's testimony with regard to causation. With regard to the First Amendment I note in a prior ruling I did mention that; the importance of the context of legal duty. And I conclude that there has not been a violation of First Amendment principles in presentation of evidence. And I also conclude in this Rule 20 context that there has not been a due process violation. In summary, it's ordered denying the motion pursuant to Rule 20. 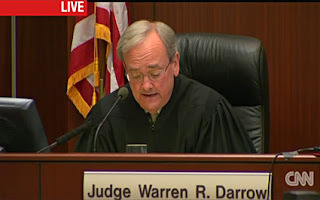 With those words Judge Darrow dispensed with the latest attempt by Ray's defense team to abrogate this trial. Motions for a directed verdict are typical in criminal cases, but Loyola Law School professor Stan Goldman said they are rarely granted even if there's a basis for them. "Usually the judge wants to wait for what the jury has to say," he said. Egads! Can you imagine being a juror in this trial, having already given up over two months of your life to hear this case only to be dismissed a couple of weeks from the end? I know I would have been pissed. For that reason, alone, I would have been surprised if Judge Darrow had granted the defense's motion. As the above cited Wall Street Journal points out, such motions are kind of pro forma, so I was a little surprised to learn that CNN had taken enough of an interest in today's proceedings to return to Yavapai County just to air them. I can't help thinking they were expecting this to be the fiery finish they'd been waiting for. Their talking heads on In Session argued for weeks that the State could not make the case for reckless manslaughter, just as the defense argued in their motion for Rule 20 acquittal. But the idea that the State had not met its burden was pretty firmly rebuked by Judge Darrow today. The judge's ruling was sober and meticulous and a sharp contrast to Luis Li's hyperbolic insistence that the State's case was basically ludicrous. I think Li was just trying to make up in bluster what he lacked in factual basis, but as he so often he does, he came across like the big city lawyer lecturing the local yokels about the law. I doubt he means to sound like he's talking down to a Superior Court Judge but every phrase and every affectation of incredulity just drips with condescension. What's missing from the State's entire seventy-two minute presentation is any articulation of what conduct constituted the crime. And what, no articulation about how that with the mens rea connected to that particular conduct. It's critical, Your Honor. It's not just a disclosure obligation, where if we look at enough of the discovery we might be able to figure out what the State thinks it might be alleging. What, what we've gotten here is essentially the same that we've gotten throughout this trial which is just a barrage; a fire-hose of every fact that the State can think of but with no discrimination as between what fact is actually the crime. What is the mens rea? How is this court gonna make a ruling as to what the mens rea was when a particular conduct was done. We don't have that. We've never had that articulation. It's not a simple disclosure problem, Your Honor. It's a due process violation. And now, it's amazing that the State would take the position that, well, ya know, you could've figured out what we were thinking, uh, but no harm, no foul because we told ya the day after we closed, or, ya know, three days after we closed the case. That's not how our laws work, Your Honor. It, it never has. There's, there's scads of cases about how that's a violation of due process and frankly illegal. He also derided participants who didn't conform to his concept of free will. The State repeatedly says here's what all these other participants thought and felt. They felt ashamed. They wanted to do this. They felt about this. They felt about that. That's entirely irrelevant to what the particular decedents were thinking at a particular time. We have no idea what they were thinking. Some of the participants felt that they could leave anytime and were very strong and had all sorts of, you saw the testimony, and some were, were, in my opinion, a little odd. Nice. So those participants who complied with his own client's directions and express desires that they see through this trial by ordeal and embrace their metaphorical death were "odd." They presumably deserved whatever injury they sustained. Whereas those who ignored his client and shrugged off Ray's promises of transformation during the pinnacle event of a seminar for which they'd paid ten grand were normal. One of the things Sheila Polk made clear in her argument today, is that the exact same physical symptoms that should have alerted participants that they were in serious physical peril and should leave, Ray had promised them were the transcendent experience they had paid for. In what was probably a preview of her closing argument, Polk wove together the major elements of witness testimony into a seamless and damning narrative. I did not see all of the legal arguments because CNN did not carry the whole thing. Luis Li's hour plus argument was not streamed. I do know that the weather at the time looked to be, um, clear. Frankly I'm ambivalent about having missed out on his primary argument. His twelve minute rebuttal to the State was about as much Luis Li as I could take. 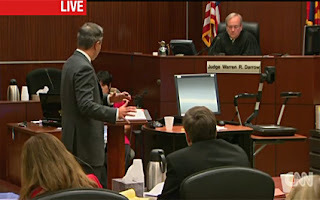 Only part of Sheila Polk's argument was streamed. It seems CNN aimed to show up with its broadcasting equipment just in time to hear Judge Darrow kick the case... Except he didn't. Again, the briefs are available for download and state the legal arguments of both the defense and the prosecution. 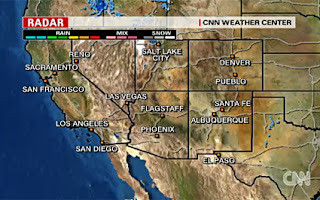 Aside from the excitement of Judge Darrow smacking down yet another attempt by defense attorneys to keep this trial from going to the jury, I have to say CNN picked a really dull day to breeze through town and carry a few hours of this trial. 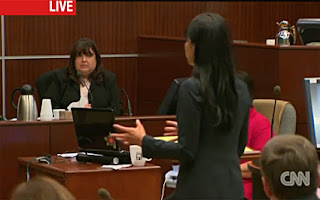 The defense kicked off their case with some of the dullest testimony yet. Dawn Sy was the criminalist who tested samples of the sweat lodge structure and rocks. She's the one who found those "trace" elements of the "inert" ingredient 2 ethyl 1 hexanol and the terpenes common to wood in, well, the wood. As I expected she would, Sy made it abundantly clear that 2 ethyl 1 hexanol is in a lot of things including foods, and terpenes are natural, "aromatic" components in many types of wood. Their presence was "not surprising." What's odd about her clarification is that it came under direct questioning from Truc Do, who actually did more to establish the commonplace nature of those chemical compounds than the prosecution did. 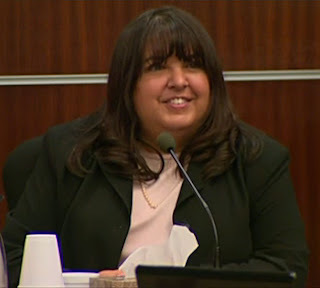 I had actually been looking forward to Sy's testimony and I was wondering what had happened to her. It turns out that she was bumped from the prosecution's witness list due to time constraints. Do tried vainly, even feebly, to suggest that it was only after Sy had communicated with the State about organophosphates that they'd dropped her, but the suggestion crumbled even during Do's own questioning. Do had to acknowledge the simple truth. The State ran out of time and had to slash its witness list. During redirect, Bill Hughes clarified that Sy had shown up to testify for the prosecution but had been turned away due to the length of another witness's testimony. Unspoken, but possibly quite noticeable to the jury, is that it's been the defense's barrage of objections and sidebar requests that ran out the clock. Ray's defense team, which has stressed that participants were free to leave, continuously barraged the court with objections. So strenuously have his attorneys fought that prosecutors have averaged not even one witness a day on the stand. Prosecutors wound up calling fewer than half of the witnesses they originally listed. Sy was a cooperative and earnest witness but as the opener for the defense's case, surprisingly lackluster. That didn't stop Do from dragging the process out for hours. She spent an incredible amount of time establishing a timeline for all Sy's activities and communication with the State. She even pulled out the easel. Most of Do's direct examination seemed intended to show that the State had dropped the ball in terms of timely and clear communication with Sy and her department and that important testing either wasn't done or was not given adequate attention. As ever, the argument is that police didn't turn over the entire, intact sweat lodge structure and bushels of soil samples and didn't test for any and every possible chemical contaminant. It's a fairly solid defense tactic because none of the above are possible in any police investigation. No one can follow up on every possibility including the possibilities they have no reason to be aware of. However, in Do's plodding, overly detailed presentation, the impact of such criticisms was blunted by sheer boredom. It really wasn't until her redirect that Do became her characteristically pointed and aggressive self. She got in some not unexpected jabs against the State for not scrutinizing its "own evidence" and giving Sy the information she would have needed to timely test for organophosphates. Once again, the "clues" the State failed to find were background noise in a recorded interview that took place in a crowded dining hall, and what may or may not have been an EMT talking about the possibility of organophosphates and carbon monoxide. Yawn. Dawn Sy was excused subject to recall. As per Connie Joy, who is there now, CNN is going to broadcast again today and then plans to leave. They admitted they are being bombarded with complaints. So keep up the pressure! The link to the form is at the top of the page. put in a request yesterday to keep the trial going. what the heck are they doing? some days yes, some days no. absolutely NO consistency. don't know when i can or can't get them. have to fool around with the computer most of the day on the chance it is coming through. how has anyone else solved this? sorry for lack of caps...carpal tunnel makes it hard to type.